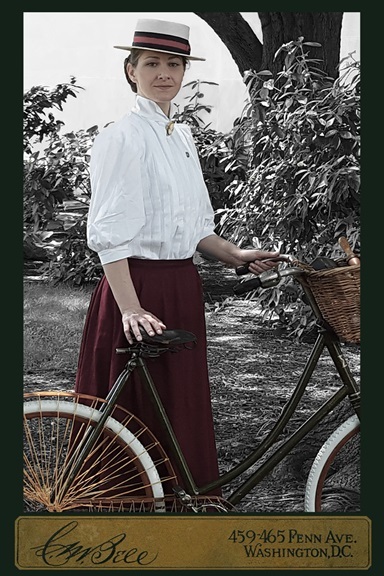 Meet Louise Gibson and her bicycle, Sylvia. The year is 1895, and Louise has just ridden in from the recently established railroad town of Takoma Park to visit the nation’s capital and the Smithsonian for the day. Join her at the wheel, as she rides through the museum discovering new sites and newfound freedom through her bicycle. From the 1880s to the 1910s, Americans took to the wheel, sparking a nationwide bicycle craze. For riders—especially women—bicycles were a means of personal mobility, of independence. The new freedoms afforded by cycling empowered women to challenge social norms.